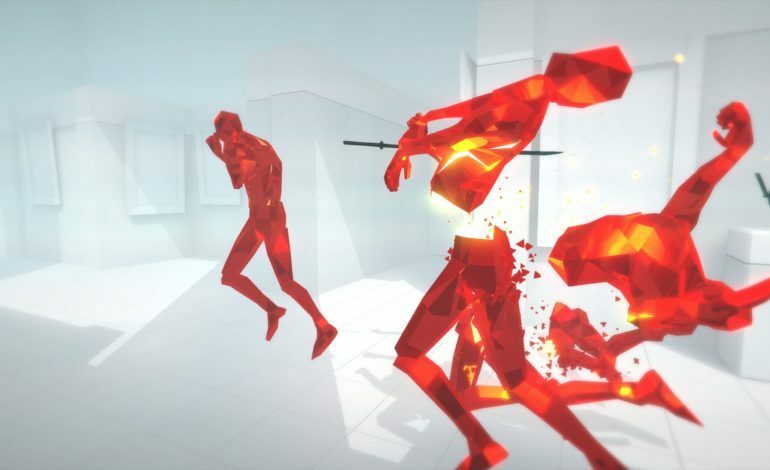 The developers over at GameTomo have recently confirmed that the iconic red guys are officially making their way over to Japan for the upcoming SUPERHOT JP. Taking place within the original SUPERHOT universe. This alternate story campaign continues the unique time-sensitive first-person shooter adventure that shot the series to intrigue in the first place. Maintaining the unique slow-motion combat mechanics, the aspect that sets this rendition apart will be the dense Japanese aesthetic. You’ll find yourself dodging bullets in hot springs, samurai castles, karaoke bars, and bullet trains alike. Now taking place in a reality known as Budd-OS, you’ll be treading new grounds against the same enemies one step at a time. The title SUPERHOT JP is currently tentative, and expected to be changed once an official release date approaches. About 15-18 levels and 3-4 endless levels are promised alongside various new weapons, and one of which is a bow. The same game modes present in the original title will also be available. Although virtual reality was an addition that bolstered the original to mass popularity, there’s no speak of implementing those features into this new campaign just yet. Newly realized menus, UI, and story-lines are guaranteed in this new adventure, though. Various important tidbits of information regarding price and release date are not yet specified, but GameTomo has revealed that they are aiming to price it “very reasonably” when to arrives to PC and PlayStation 4. In development over in Tokyo with the guidance of the original SUPERHOT team, the game is planned to release in Japan initially, but no other countries have been confirmed to receive it just yet. Other countries worldwide are in consideration, but as of now, it’s looking like all their marbles are landing domestically in Japan. If you haven’t given the original SUPERHOT a shot, be sure to check it out or watch the gameplay trailer below if it seems interesting.